Your Donation Can Make a Difference in a Child's Life! One of the most devastating consequences of family homelessness is the impact it has on a child’s education. For children who are homeless, the start of the school year is additionally stressful if they do not have the school supplies their housed classmates have on the first day of school. 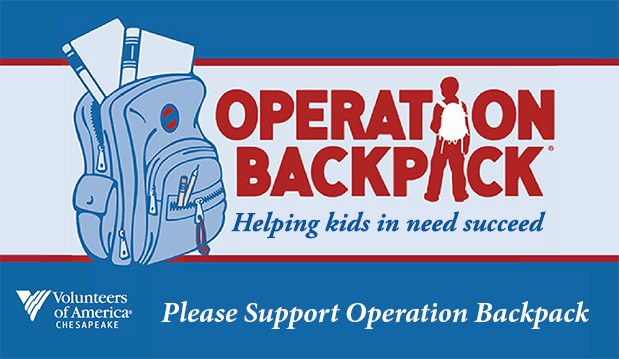 Since it was introduced eight years ago Operation Backpack has outfitted more than 30,000 boys and girls, with new, full, grade-specific backpacks in time for the start of the school year.